I wonder if he'll be cleaning it up and digitally reprocessing it, a bit like he did with the old WW1 footage? Funny to think that the last year of The Beatles is the mid point between the end of the Great War and the present day. There could have been people my age strolling along Savile Row 50 years ago today who remembered the war quite well, albeit they wouldn't have been old enough to take part in it. That's brilliant - thanks. They are actually using similar restoration techniques then. You've got to hand it to McCartney and his management - they've really kept interest going in The Beatles with these various projects over the last 20 years or so. The remasters, the 'Love' album, the hi-def films and so on. 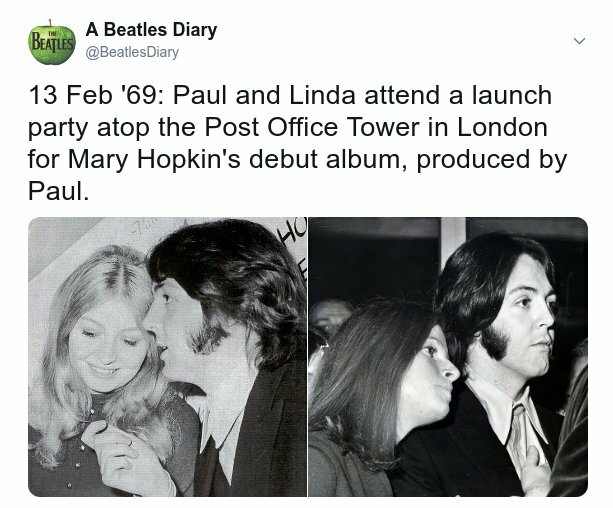 Here's something I didn't know: two weeks after the rooftop gig, Paul had shaved off (most of) his beard.